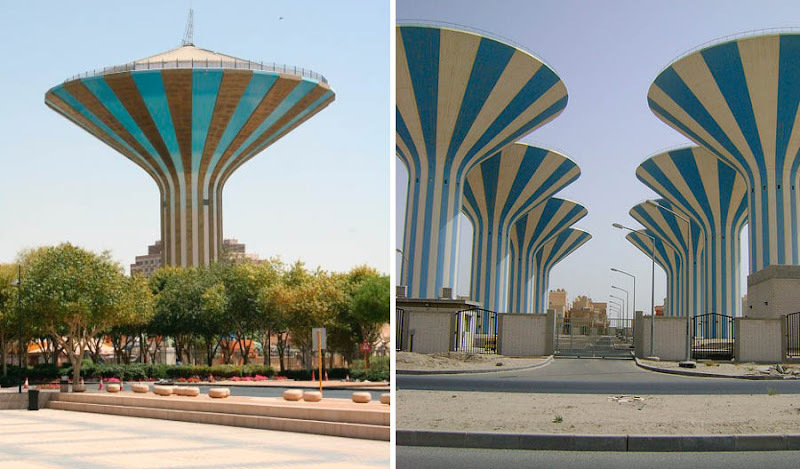 There are some worldwide headquarters of evil corporations housed in some of them... just kidding. 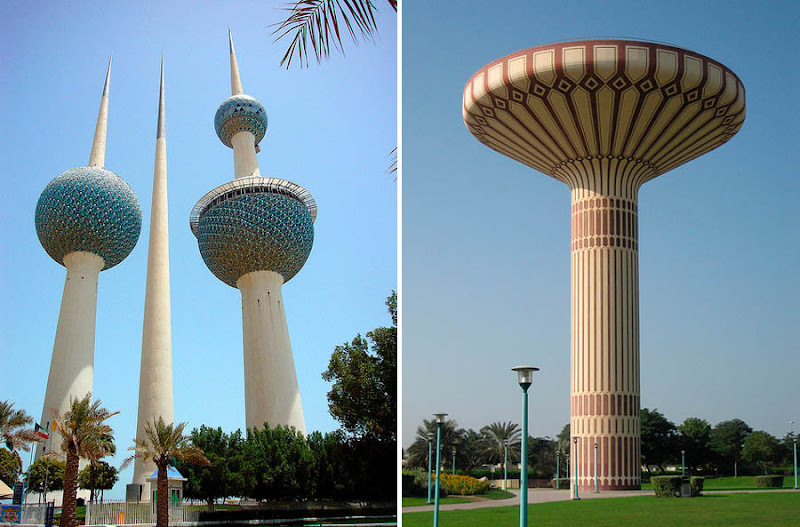 Water towers can be found in many parts of the world, in all kinds of colours, shapes, sizes, decorations and designs. 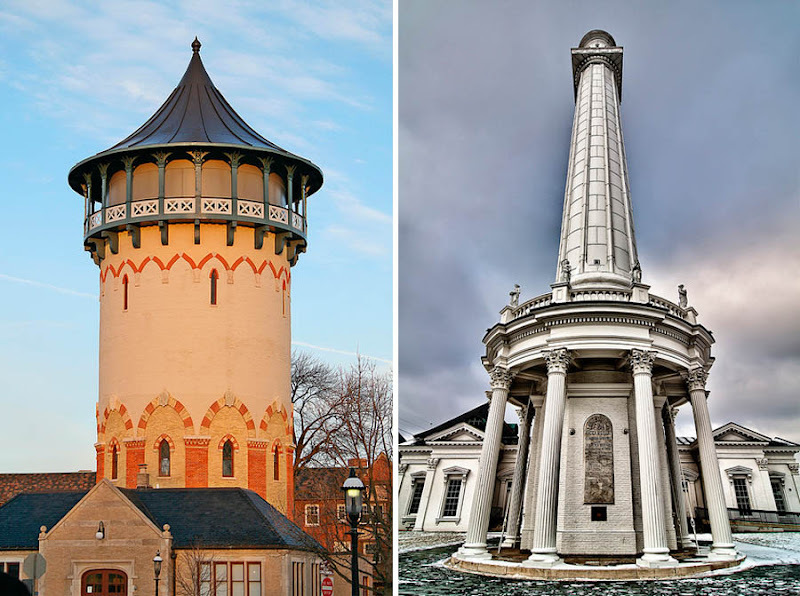 This time at Dark Roasted Blend, we take a look at just some of these fascinating structures, from the vintage and historic to the unusual, intriguing and simply bizarre, including some water towers that have even been turned into houses. 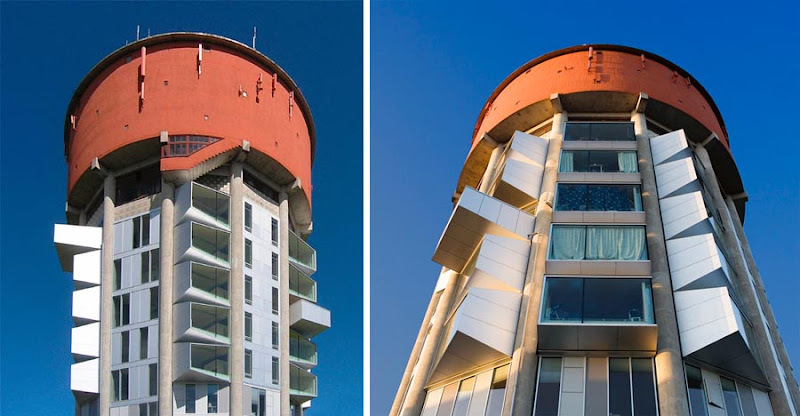 Right image above: Feel like a really big cup of coffee? 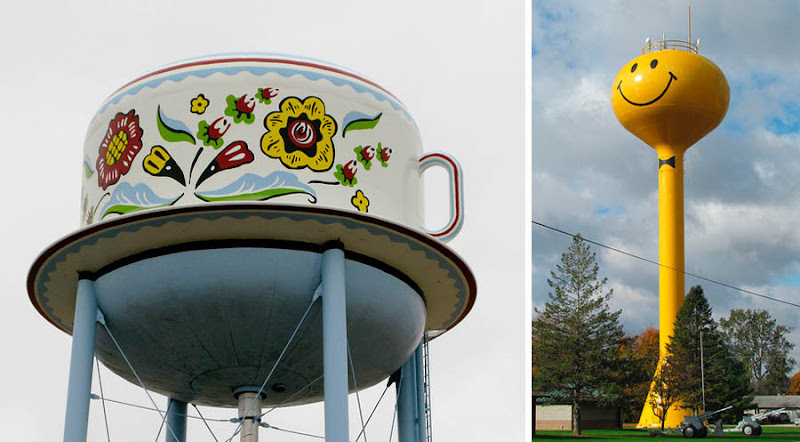 In Lindstrom, Minnesota, the water tower first built over a century ago is shaped like a coffee pot. Swedish settlers founded the town back in the 1850s and the pot is inscribed with "Welcome to Lindstrom", in Swedish. 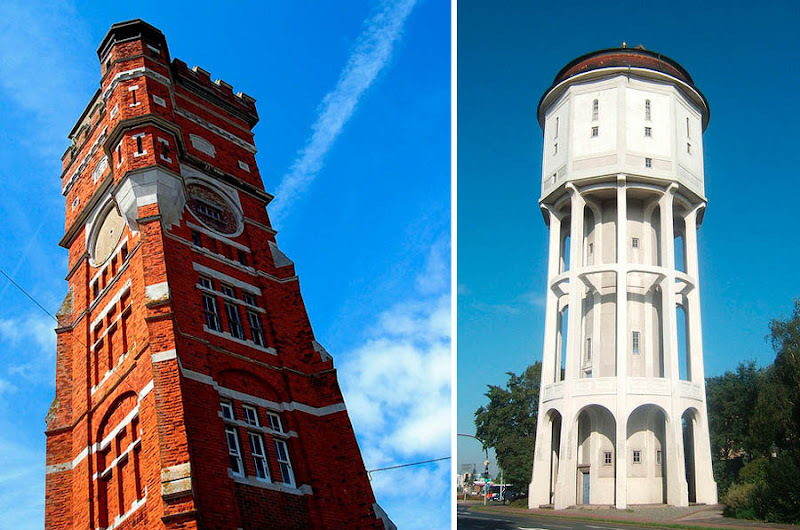 In 2007, the Eye of Texas was an interactive digital video projection that took place in Austin using the water tower at the Green Water Treatment Plant (left image below, more info). Right image above: Another example of digital eye projection, this time by Marcos Zotes in New York City, in 2011. The eye would actually rotate and follow you around... pretty unsettling experience (see video here). 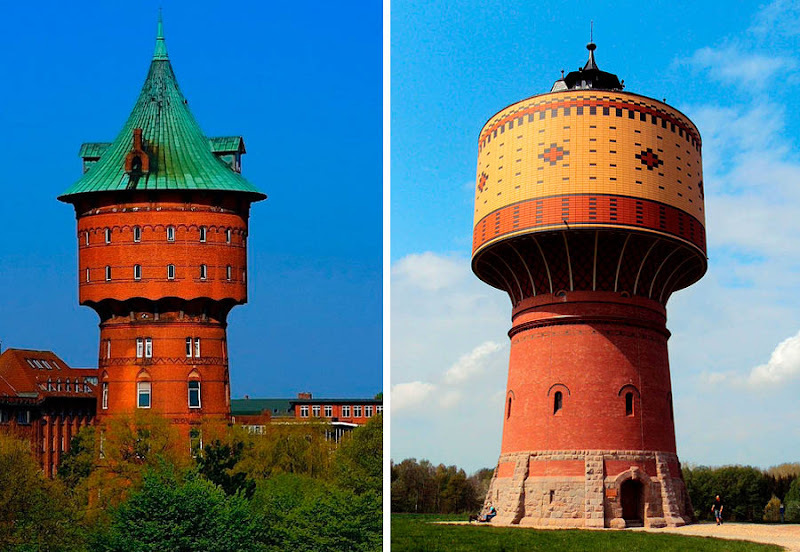 And finally, while not technically a residence, here’s the tower in Strenci, Latvia at a local psychiatric hospital (right image above). 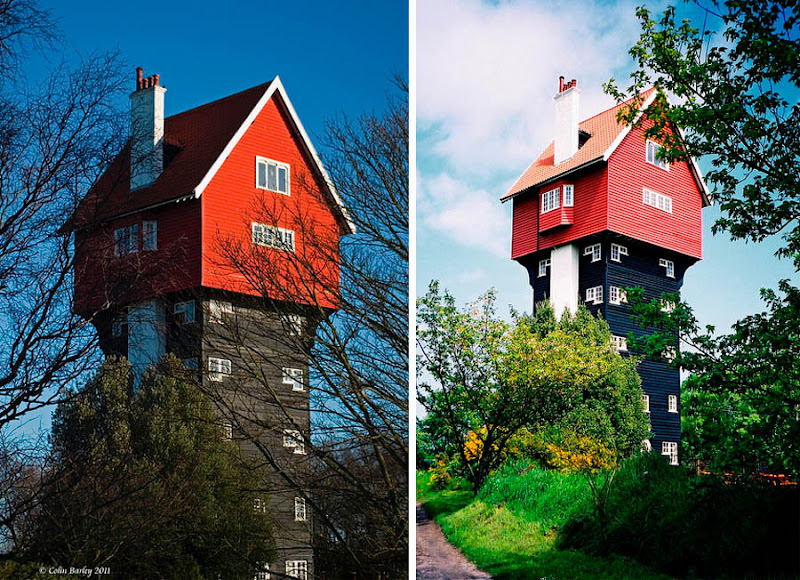 A chimney was added to an existing water tower built in the early twentieth century and apparently none of the hospital’s residents actually live in this very unusual house. 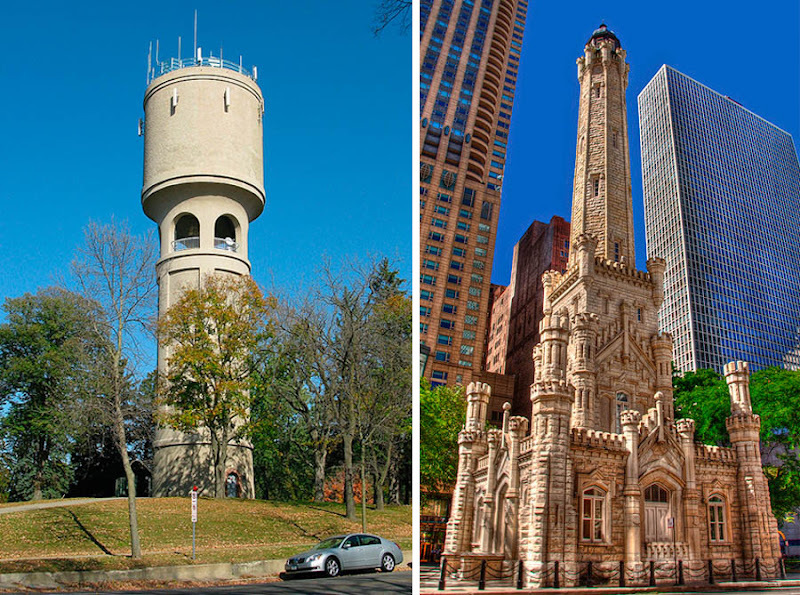 Of the seven standpipe towers in the US, three are in St. Louis: see Built St. Louis. 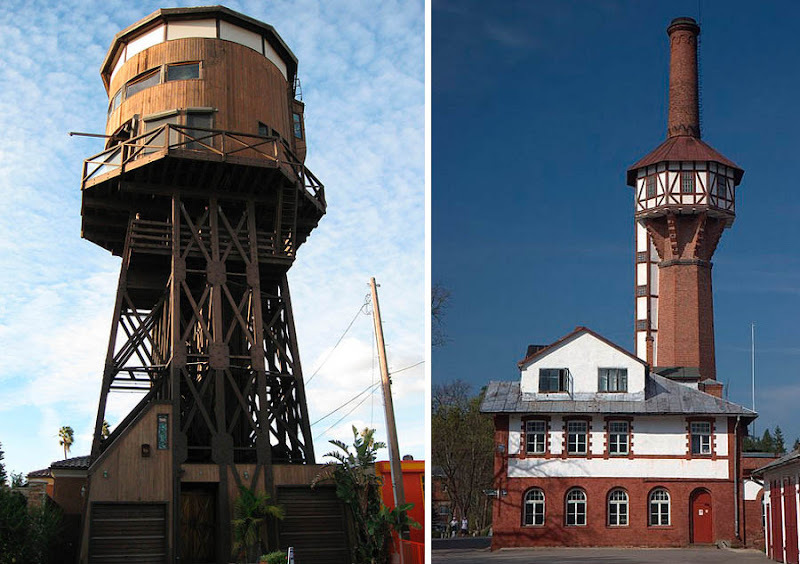 Here in Solingen we have a somewhat different conversion. There's a great geometric tower on the campus of University College Dublin in Ireland. 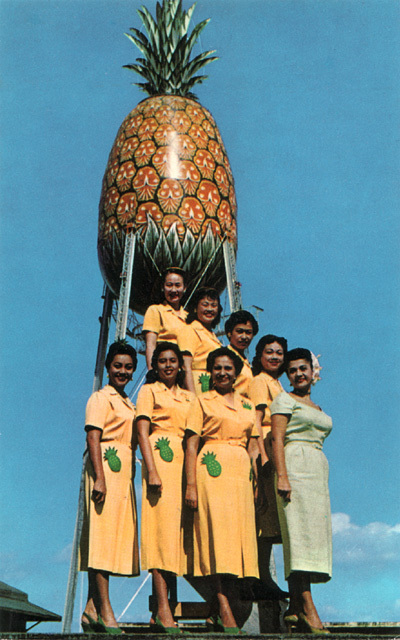 Do an image search for "UCD Water Tower" and it looks like this. 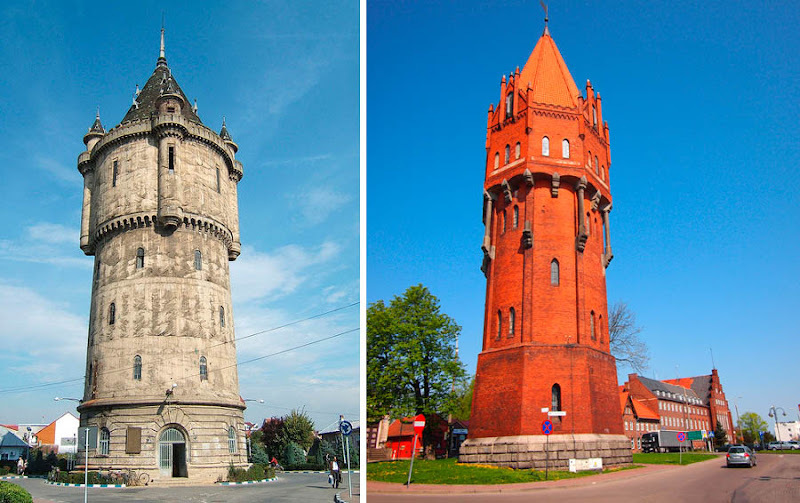 How could you guys forget the water tower in Mannheim, it's officially the world's most beautiful water tower. Big disappointment! 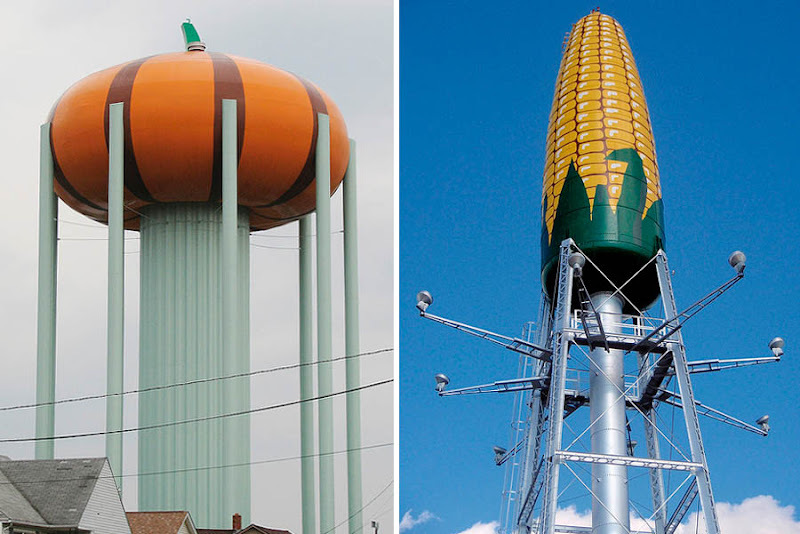 There's also a giant peach in Gaffney, South Carolina. 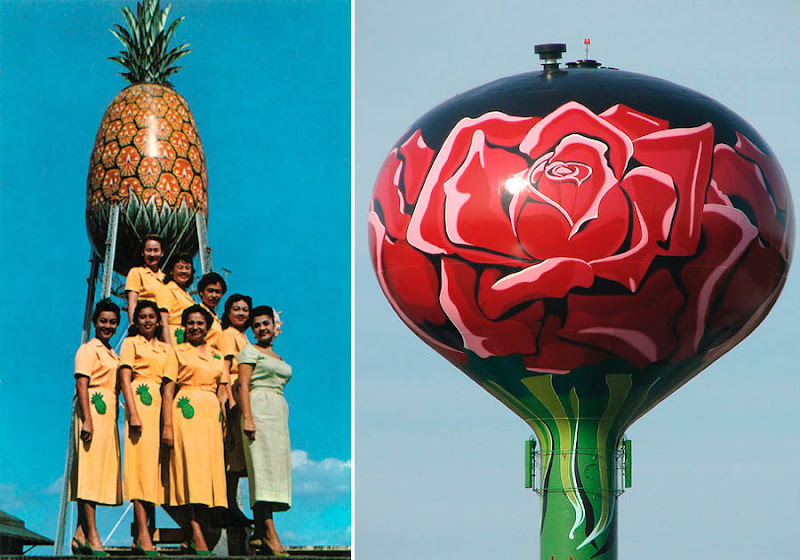 Just a small correction: the rose water tower is in Rosemont, Illinois, not Rose, Illinois. 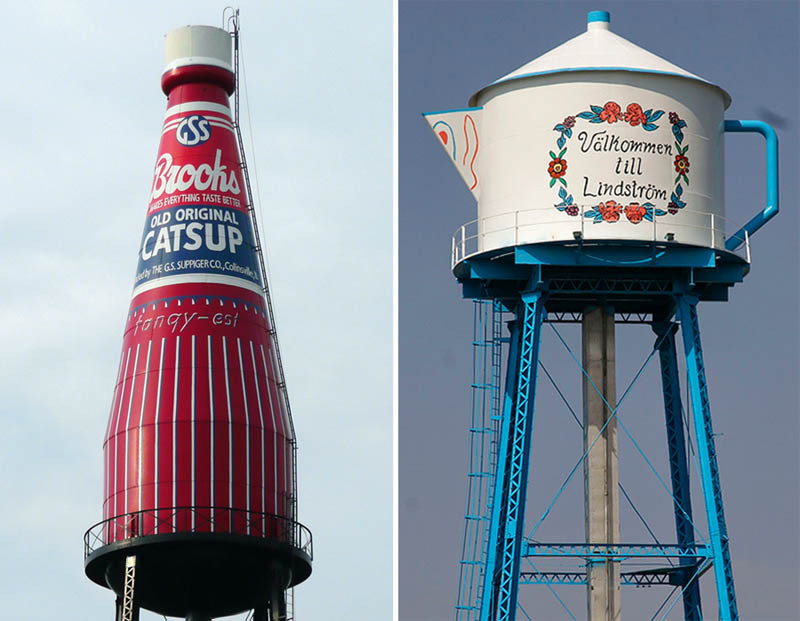 The Stanton, IA is the birthplace of Virginia Christine, "Mrs. Olson" of Folgers coffee commercials. 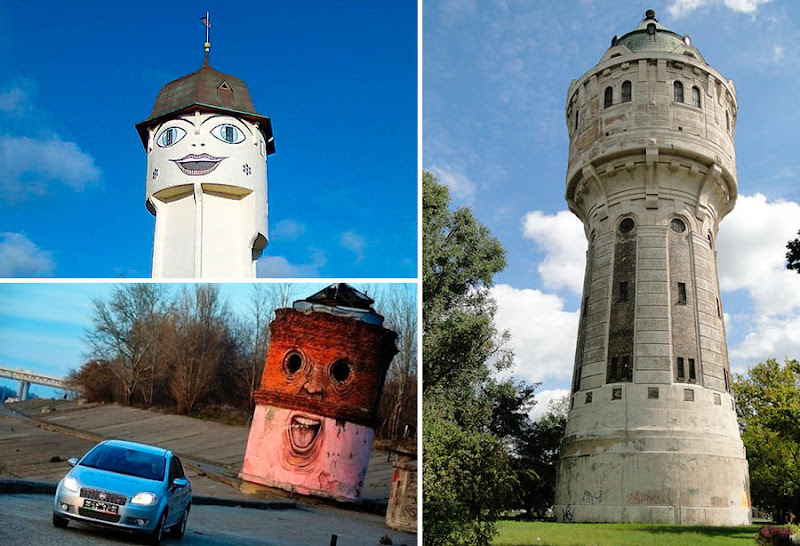 There's also a matching coffee pot tower too by the way. 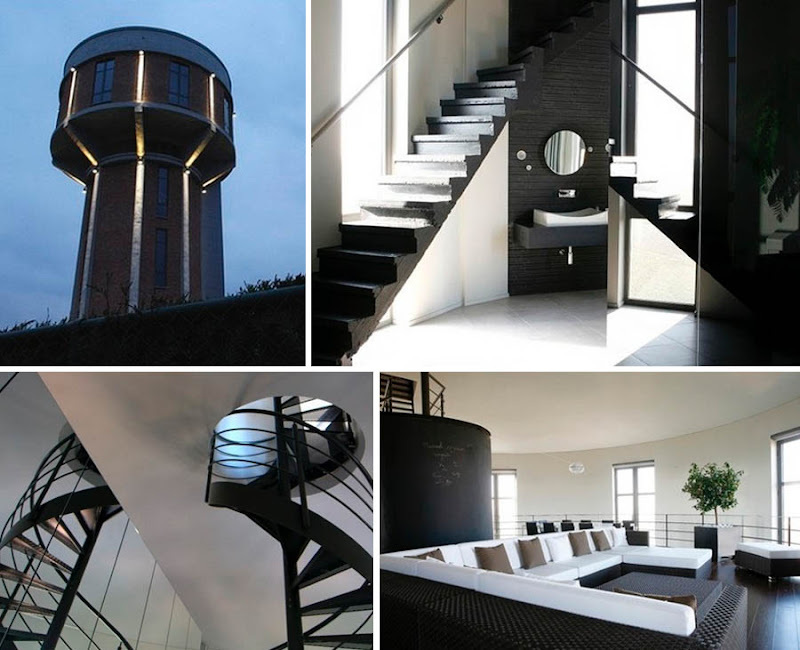 These towers look very much like the observation towers from the movie Man in Black.